Urbanizehub was at the 1st edition of the ‘Different City – Smart City’ Conference which was held in Bucharest, Romania in the first week of November 2016. 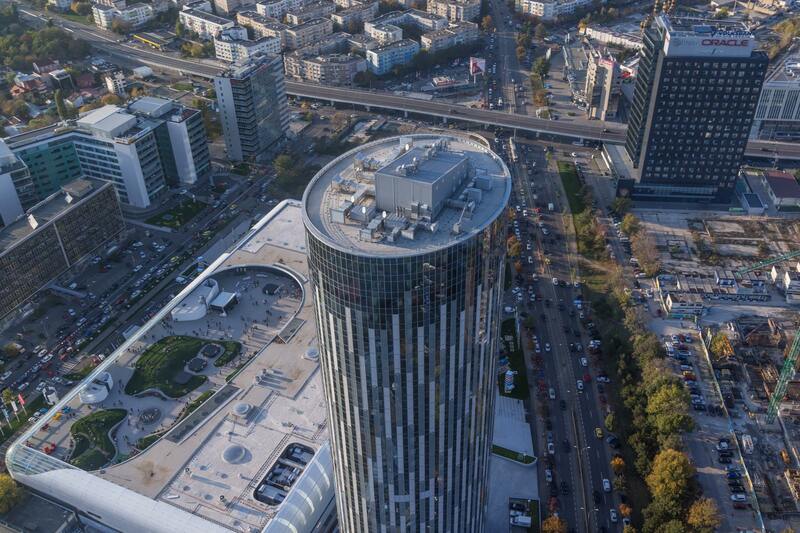 The Conference’s main theme was ‘Innovation and New Technologies in Managing Cities Today and in Planning of the Smart Cities of Tomorrow’, and it was organized by the Bucharest Sector 3 City Hall and the Netherlands Embassy in Bucharest. Smart cities are places where traditional networks and services are made more efficient with the use of digital and telecommunications technologies, for the benefits of its inhabitants and businesses. The road towards smart cities is long and there is no end point, it is a continuous journey and a holistic approach by different segments of the economy is essential – starting from the government and its various agencies, to the implementation and adoption by citizens. 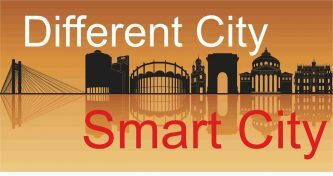 The aim of the Different City – Smart City Conference was to ‘bring together city and regional authorities with industry, SMEs, academics and professionals to present information and ideas for smartness and growth’. The conference was divided in two parts – the scientific part, where discussions were held on various research themes such as Renewable Energy, Smart Transport, Smart Culture and more; and the exhibition part, during which partners and stakeholders were able to present smart services and products, establish contacts with the community and identify new market opportunities through networking. We were lucky enough to hear some inspiring speakers and learn how important smart technologies are for the future of our cities. Keynote speakers included Renato de Castro, Senior Vice President for Smart Cities at Cref, Inc. USA, who spoke about the tools needed for a Smart City project and Anastasia Stratigea, Associate Professor at the National Technical University of Athens, who spoke about the relationship between smart cities and sustainability. Another highlight was the session with Drs. 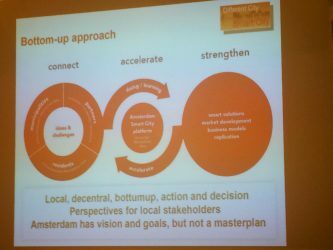 Manon Jutte from Amsterdam Smart City Alliander NV, who talked about Amsterdam’s Smart City Programme – we saw that openness and collaboration are key, and so is a bottom-up, decentralised approach instead of a ‘masterplan’ which can run into local issues – it is better to let administrators take actions based on common visions and goals.